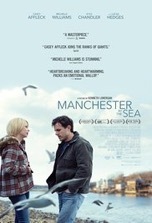 Just so there’s no confusion, Manchester By the Sea, the saltwater drama starring Casey Affleck, Michelle Williams and Kyle Chandler, is most certainly not an upper. The film’s slice-of-life story focuses on Lee Chandler, a low ambition, short fused fixit man who has lost just about everything in life but now, unexpectedly, gains something…his dying brother’s will stipulates that Lee is to raise his nephew, Patrick (Lucas Hedges). The balance of the movie focuses on Lee’s wildly inconsistent parenting style and his frequently unsuccessful attempts at putting the pieces of his life back together again. From the outset we can tell that something is seriously wrong with Lee—he has near catatonic pauses in the middle of phone conversations, starts bar fights when people look at him the wrong way and can’t engage in small talk with women who are interested in him—but can’t quite put a finger on what plagues this thirty-something New Englander. Another clue that all is not well with Lee is that other denizens of the titular seaside community look at him with askance or outright loathing as he drifts down city streets like a wraith, fitting since he’s little more than the shell of a man. In answer to our silent demands to know what turned this loving husband and father into an emotionless drone, writer/director Kenneth Lonergan slowly unveils the consequential episodes of Lee’s life in a series of flashbacks, which, in time, disclose the horrific event that extracted the majority of his humanity. These glimpses into Lee’s past modulate between the mundane and the traumatic and are successful at garnering spectator sympathy for Lee. Despite his many flaws, Lee is a character we just can’t help but root for; mostly because we know we’d be just as messed up had the same tragic events happened to us. One of the movie’s most memorable moments is the reunion scene with Lee and Randi (Williams): the surprise encounter between the divorced couple is squirm-in-your-seat awkward but contains Oscar-caliber performances from the lead actors. Chandler, who plays Lee’s brother Joe, is influential and memorable in his ancillary role. Hedges, C.J. 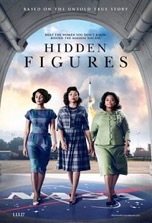 Wilson, Tate Donovan, Susan Pourfar, Gretchen Mol and Matthew Broderick are all superb in their supporting performances. The gorgeous seaboard vistas (filmed at various locations in Massachusetts) provide context, atmosphere and a nearly palpable sense of place. These establishing shots are skillfully woven into the action by Lonergan and his editing team and serve as the unbilled star of the movie. One repetitive, static shot, which captures images of Lee shoveling the same patch of sidewalk on successive days, depicts the harsh conditions and tedious sameness of winters in the Atlantic Northeast. Such creative flourishes are a double-edged sword, however, since they lend the film an art house aesthetic while also detracting from its overall commercial appeal. In the end, Manchester is a movie about personal struggle and the journey to find a measure of sweetness in an otherwise bitter life. The film’s somber mood and slow pacing won’t be a winning combination for many viewers, but those who enjoy rich characterizations and nuanced storytelling will embrace the film. The critical buzz surrounding Manchester substantiates its status as a frontrunner for Best Picture. However, with the recent groundswell of support for the Ryan Gosling and Emma Stone dance film, Oscar’s top prize might be headed to the other coast…to La La Land. Split is a devilishly deceptive film. It lures us into thinking it’s a standard Kiss the Girls (1997) style female abduction story and then morphs into a cognitively complex character study that delves into the darkly demented, spiritually skewed aspects of mental illness. The film wastes no time in initiating its plot as Kevin Crumb (James McAvoy in a turn for the ages) jumps into a car with three teen girls—Casey Cooke (Anya Taylor-Joy), Claire Benoit (Haley Lu Richardson) and Marcia (Jessica Sula)—sprays them in the face with Mace and whisks them away to his dingy underground lair. We soon discover that Kevin has dissociative identity disorder. We also quickly discern that Casey can adapt to Kevin’s shifting personalities, an ability that distinguishes her from the other prisoners and equips her with the wherewithal to make it out of the catacombs alive. The film splits its time between Kevin and Casey, revealing insightful bits of their back stories in flashback sequences, and adroitly graduates their interactions from a war of wills to a dance of the wounded…whereas Casey’s scars are physical and emotional, Kevin’s are psychological. As such, there’s an unspoken understanding that exists between these characters since they both know what it means to be deeply hurt by a family member. Even though we can’t justify Kevin’s actions, we can have sympathy for him since his mother’s controlling nature laid the foundation for his mental illness. What we can’t excuse, however, is what Uncle John (Brad William Henke) did to young Casey (Izzie Coffey) out in the woods…I firmly believe that there’s a special place in hell for such individuals. This prompts a topical, hypothetical question: what’s worse, a heinous crime committed by someone with a mental illness or an ostensibly sane person? One of the movie’s ongoing themes, a variation of Darwin’s “survival of the fittest” ideology, is revealed in its hunter/hunted subplot. Preteen Casey learns how to hunt a deer in one of her flashback sequences and Kevin/The Beast stalks his three captives during the movie’s X-Files style climax. Even more disturbing than the movie’s brief images of cannibalism, however, is its insidious intimation that “the broken are the more evolved” members of our species. That notion is fleshed out by another of the film’s unsettling lines, “What if they’re more than us?” The implication here, of course, is that people with multiple personalities are superior to those with just one—as if they possess superpowers like the mutants in the X-Men films (incidentally, McAvoy stars as Professor X in that franchise’s First Class movies). Just as the definition of gender has broadened to include a variety of mental/physical/sexual types in recent years (Facebook now offers 56 gender options to choose from when creating a profile and the January 2017 National Geographic cover article on the Gender Revolution presents its own codified gender matrix), the DSM has also expanded to include many new kinds of mental illnesses. So then, has the mainstreaming of a variety of sexual identities opened the door to the acceptance of new mental illnesses, and is there a connection between the two? In our society of broken families, fractured realities and shifting gender identities, are individuals with split personalities the wave of the future, and if so, how will we treat them and coexist with them? Not only has this seismic shift in the mental health landscape opened up a whole new classification of Civil Rights, it has also anticipated serious legal complications, i.e., can Kevin/The Beast be arrested for eviscerating his victims since that behavior is part of his nature? Kevin’s psychiatrist, Dr. Karen Fletcher (Betty Buckley), asks a poignant question in relation to Kevin’s case: “Is there a limit to what a human being can become?” Or, to put it a different way, is there a nadir to the depths of human depravity and derangement? With so much to mull over here, it’s clear that Split isn’t your standard issue thriller. Just as Kevin’s numerous alternate personas are stratified in a dysfunctional hierarchy, the movie itself contains many layers of meaning which have far-reaching ramifications for the human condition. Despite the occasional nitpick, i.e., psychiatrists don’t make house calls, Split is a thoroughly captivating yarn and comes complete with eerie, skin-crawling direction by Shyamalan, a mesmerizing lead performance by McAvoy and (Spoiler Alert) one of the finest stunt cameos/Easter eggs in cinema history with the brief appearance of Bruce Willis, whose one line links this film with Unbreakable (2000). 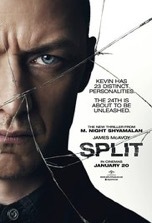 Split qualifies as a considerable comeback for Shyamalan, who suffered an ignominious drought during his The Village (2004) through The Last Airbender (2010) years. Due to its performances and shocking subject matter, Split is sure to be a water cooler film…whether or not it’s a box office hit remains to be seen. Well, I’d love to chat more about this film but it’s time for me to split.